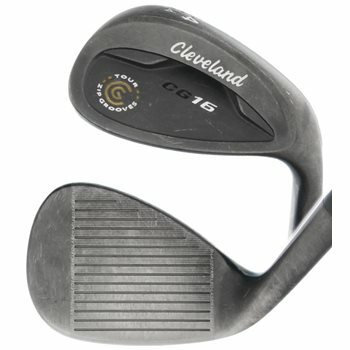 The Cleveland CG16 Black Pearl wedge features Tour Zip Grooves with a Laser Milled texture lines perfectly calibrated between each groove allowing for optimal ball-to-face friction and maximum spin in accordance with the Rules of Golf. It also features a slight cavity back with an undercut, moving the center of gravity lower and deeper to increase the Moment of Inertia for improved stability on off-center hits. Its wider C-shaped sole allows for easier bunker play, while the tour grind on the back of the heel and toe make it more versatile around the green.